Thailand (previously known as Siam) is a county located on the Indochinese peninsula that is in Southeast Asia and shares its borders with Myanmar, Laos, Cambodia, and Myanmar. The country has a rich history that goes back to 40,000 years before the present as there are stone artifacts that dates back to the period at Tham Lod Rockshelter. The country has been ruled by several empires such as the Khmer Empire, Maurya Empire, and the Gupta Empire. The country is stretched over an area of 513,120 square kilometers. The main geographic regions in the country consist of Northern Thailand, Isaan, Central Thailand, Eastern Thailand, and the Southern Thailand whereas the main cities are Bangkok (capital), Ayutthaya, Chiang Mai, Chumphon, Chiang Rai, Kanchanaburi, Nakhon Ratchasima, Pattaya, Sukhothai, and the Surat Thani. You can reach the country by travelling via air, as Thailand has two major airports at Bangkok and Phuket, where the national carrier is Thai Airways. People from the neighboring countries also travel by road, and other means of popular transport include travelling by train, ferry, bus, tuk tuk, and motorbike. The climate of the country can be classified as tropical monsoon, where the annual temperature can reach a total high of 38 °C and can fall as low as 19 °C. The country experiences the monsoon season from May till July and the weather get hot and sticky. The driest months are November and December and certain areas experience a light frost. 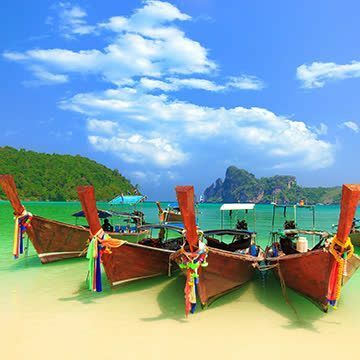 During the recent years Thailand has emerged as a popular tourist location due to the diverse topography, amazing culture, tropical weather, and wildlife. There are so many places to visit in Thailand, as is the perfect amalgamation of beautiful historic places and modern architecture. Some of the places that you can visit include Grand Palace, and UNESCO World Heritage Sites like Si Satchanalai and Kamphaeng Phet. The beaches and the islands are the main attractions of the country. Hua Hin is a popular destination that is the oldest beach resort of the country that dates back to the 1920’s. Other developed beach resorts that should be on your list of places to visit in Thailand include Ko Samui,Pattaya, and Phuket. Do not miss out on the natural scenery of the place and visit places like the Khao Sok National Park and the Khao Yai National Park that is also home to a beautiful waterfall. 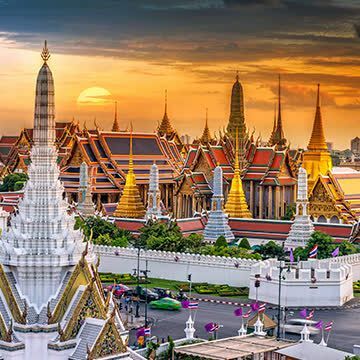 Thailand has become a popular spot within the last two decades and the best part is that it caters to travelers with all sorts on budgets. 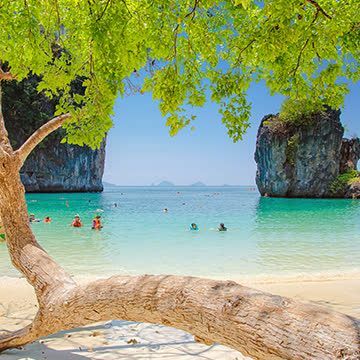 Thailand’s tourist attractions are extremely diverse and consist of places like historical attractions, national parks, modern cities, beach resorts and pristine islands. You can get started by visiting the Ayutthaya Historical Park that is a USNESCO World Heritage Site and consists of destroyed shrines and statues that were buried in the ground for hundreds of years. 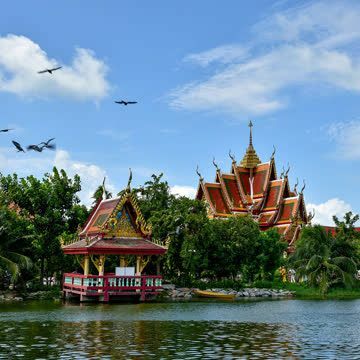 The park is also home to several buildings that include the Wat Chaiwatthanaram monastery, Wat Phra Ram Temple, and Wat Phra Si Sanphet. Other heritage sites include the Khao Yai National Park and the Sukhothai Historical Park where you can book a guide for a tour. Thai culture is truly unique and if you want to mingle with the local people, you should check out the Damnoen Saduak Floating Market by travelling in a long tail boat and eat the local delicacies like local food, noodle bowls, and coconut pancakes. The boat tour of Phang Nga Bay is also really famous as you will be able to have a look at the beautiful limestone formations, lagoons, secluded beaches, and cliffs. 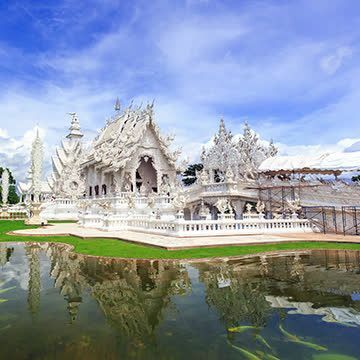 Temples are also an important part of Thailand’s tourist attractions, so you can pay a visit to the Chiang Rai White Temple that as the name suggests has been done in white in order to symbolize Buddha’s pure nature. The Monkey Temples of Lopburi is around 150 kilometers away from Bangkok and is filled with monkeys who are always looking for food. If you are fond nature, you should pay a visit to the Elephant Nature Park that consists of a rehabilitation centre for old and abused elephants. You will get the chance of feeding the elephants and even bathing with them. The Tiger Kingdom is another must visit place where you can interact with the tigers that were born in captivity and observe their behavior. The Koh Lanta Island is the place for you if you are a beach lover. You can enjoy a number of different activities there like swimming, lounging, snorkeling, and sunbathing. 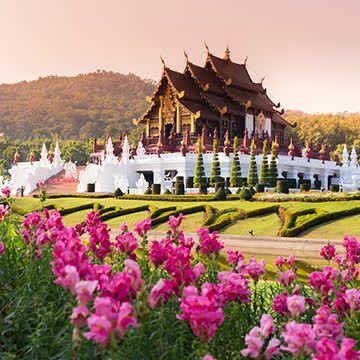 Other must visit places include Chiang Mai Sunday Night Walking Street, Bo Sang Umbrella Village, Long Neck Hill Tribe Villages, Golden Triangle Park, Jim Thompson House, Khaosan Road, Sanctuary of Truth, and the Golden Buddha.